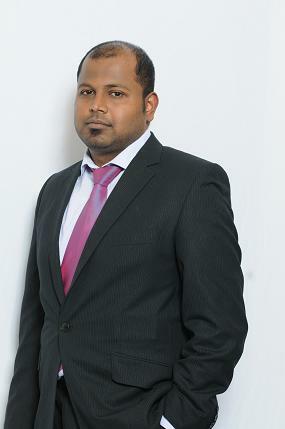 Deluxon Morris, born in Eelam moved to the UK at a young age following the atrocities faced by Tamils in Eelam at that time. His childhood experiences of the war and discrimination of Tamils by GoSL has driven his passion to fight for the rights of Tamil people to self-determination. Morris, a Bsc graduate in Entrepreneurship has received many awards for his skills including “Young entrepreneur of the year” awarded by Lloyds TSB and Business Link. He was part of the well renowned student group National union of students. Morris joined many Tamil organisations fighting for the freedom struggle, where he had the opportunity to meet fellow patriotic youths. Together they decided that it was in their hands to be the voice of our generation and take the next steps in our struggle, which led to him co-founding the prominent student movement “Students against Genocide of Tamils (SAGT)” in 2009. He has played a fundamental role in raising awareness of the Genocide not only amongst students but also at a regional level. The coalition of students who dedicated their time to the SAGT cause was one of the first to take action since the most recent atrocities in Sri-Lanka. Under the guidance of experts, the student movement excelled and successfully completed revolutionary endeavours. Morris co-ordinated the first ever ‘breaking the silence’ awareness week, where exhibitions and talks were held highlighting the timeline of events in Sri-Lanka from 1983 to 2009’s massacre. This was continued across many universities in the UK and gained media attention in the Metro newspaper. Morris was also a coordinator of the student presence in the revolutionary parliament square protests last year, and organised the UK’s first ever human chain protest in London. Morris knows the importance of preserving the Tamil youth back home and this is reflected in his extensive charity work whereby he has helped provide education, shelter and basic amenities for young children back home. Morris’ vision, passion and experience place him in good stead to continue the struggle for Tamil people and take the next generation of Tamils towards a prosperous Tamil Eelam.